A few weeks ago a friend introduced me to a British television sitcom entitled, Rev. Which follows the life of Anglican priest, Adam Smallbone, who is newly promoted from a sleepy rural parish to the busy, inner-city world of St Saviour’s, in East London. The series revolves around Adam’s ordeal of running a modern inner-city church, with a reluctant wife and a depleted, motley congregation where every day throws up a moral conflict for Adam. His door must always be open – to urban sophisticates with ulterior motives, the chronically lonely, the lost, the homeless, the poor and the insane. The first episode of the series puts Reverend Adam feeling the pressure of trying to fill a rundown London church – that is, until his congregation quadruples overnight. Overwhelmed after his church sermons in London hit a major population rise and deals with the sudden flood of patrons, but the sudden influx of worshippers isn’t down to word getting out about his sermons; there’s a rumour going round that the local church school is about to get a great Office for Standards in Education report. Faced with a bunch of hypocritical parents desperately vying for his attention in the hope he’ll recommend their child, Adam is tempted to trade a school place for the expensive restoration of a broken stained-glass window. I believe this scene is not exclusive to British churches every now and then we find people in leadership positions at church, giving unchallenging lessons to the rich and their children, providing them with just enough of a distraction that they feel better about their lives. It is to say, however, that far too often the voice which comes from the church, the dominant interpretive voice, is more informed by the concerns of the rich and the powerful than by the concerns of the poor, oppressed and marginalized. And when it is the voice of the rich and the powerful which is interpreting a challenging book like James, too often the message of James is either intercepted or sanitized. James wrote his epistle not with the intention of telling his readers how to become a Christian but rather how to act like one, and he did so which echoes the bluntness of the Old Testament prophets. In chapter 2 of his epistle message is simple: ‘faith’ and ‘works’ are integral to each other. The key for James is that faith needs movement and that engaging in works, or the working out of faith through actions, is that necessary dynamism – which is precisely the reason why it is also one of the hardest things that is demanded of James in the chapter. Personally I’ve always found James 2 disturbing. Since for a long time in my walk of faith I’ve held such high esteem on faith (or what I’ve understood as faith at the time) that is based on intellectual adherence to doctrinal stipulations. 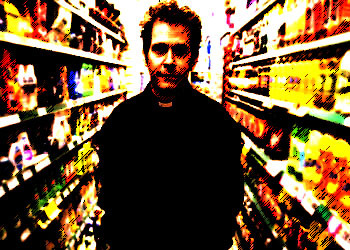 However, that would be shaken with my exposure to ‘real life’ outside the church which has a lot to do with the ordeal of walking my talk as actions speak louder than words, and it is in this spirit that we will now be exploring the scandalous message of equality as the working out of one’s faith in James’ epistle. This entry was posted in Biblical Studies, Theology and tagged Epistle of James, Rev. by Chuck Baclagon. Bookmark the permalink.